The USB 2.0 Ranger® 2311 extends high-speed USB 2.0 connections up to 100m using CAT 5e/6/7 with the option to power either the LEX (Local Extender) or REX (Remote Extender).. 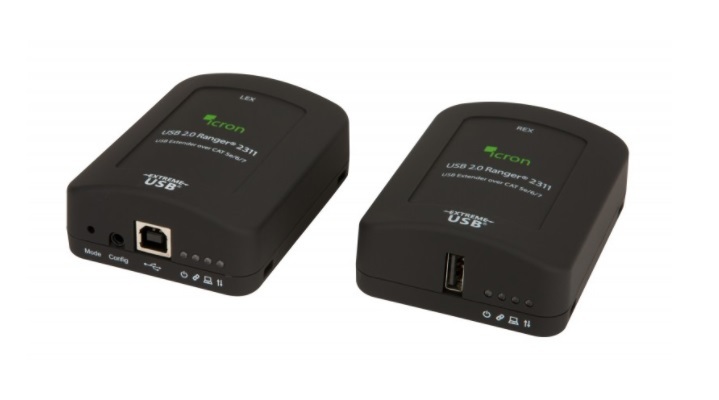 The USB 2.0 Ranger® 2311 extends high-speed USB 2.0 connections up to 100m using CAT 5e/6/7 with the option to power either the LEX (Local Extender) or REX (Remote Extender). whiteboards, flash drives, hard drives, audio devices, web cameras and any other USB device.